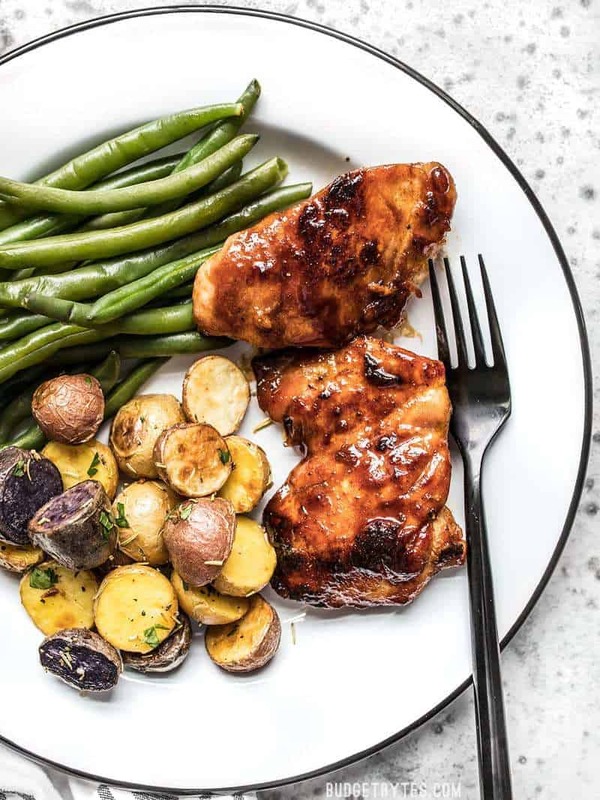 These Sweet and Spicy Glazed Chicken Thighs pair well with: Rosemary Roasted Potatoes (shown), Oven Roasted Frozen Broccoli, steamed green beans (shown), roasted or mashed sweet potatoes, or potato salad. Can I Make Them Less Spicy? Yes, BUT you will need to use boneless breasts and pound the meat out to an even 1/2-inch thickness so they cook quickly. Otherwise the glaze will overcook and burn before your chicken breast cooks through. Can I Use Bone-In Thighs? I don’t suggest bone-in thighs for this recipe because they take much longer to cook and a longer cook time will likely cause the glaze to burn. This recipe cooks quick and needs a quick-cooking meat to match. 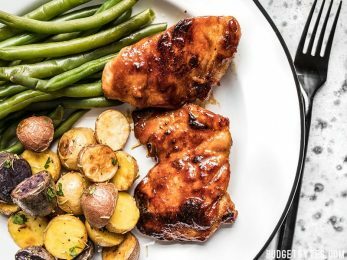 These Sweet and Spicy Glazed Chicken Thighs are moist, tender, and have huge flavor with very little effort. Perfect for fast weeknight dinners! In a small bowl, combine the brown sugar, cayenne pepper, garlic powder, paprika, salt, and some freshly cracked pepper (10-15 cranks of a pepper mill). 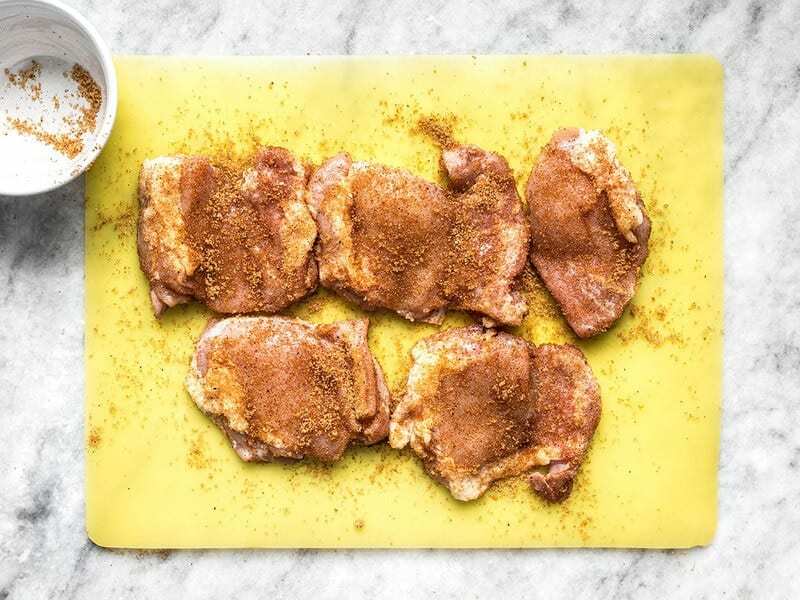 Place the chicken thighs on a cutting board and pat dry with a paper towel. Sprinkle the brown sugar mixture over the chicken, coating both sides liberally. Heat a large skillet over medium. Once hot, add the olive oil and swirl to coat. Add the coated chicken and cook for about 5-7 minutes on each side, or until cooked through and the brown sugar has turned into a deep brown glaze. Serve hot. 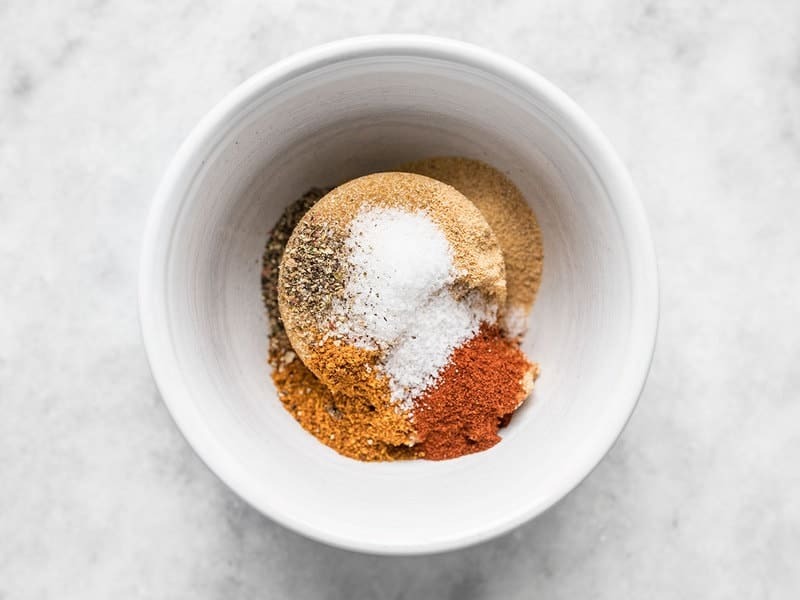 In a small bowl, combine 1/4 cup brown sugar, 1/2 tsp cayenne pepper, 1/2 tsp garlic powder, 1/2 tsp paprika, 1/2 tsp salt, and some freshly cracked pepper (about 10-15 cranks of a pepper mill). Pat 1.5 lbs. 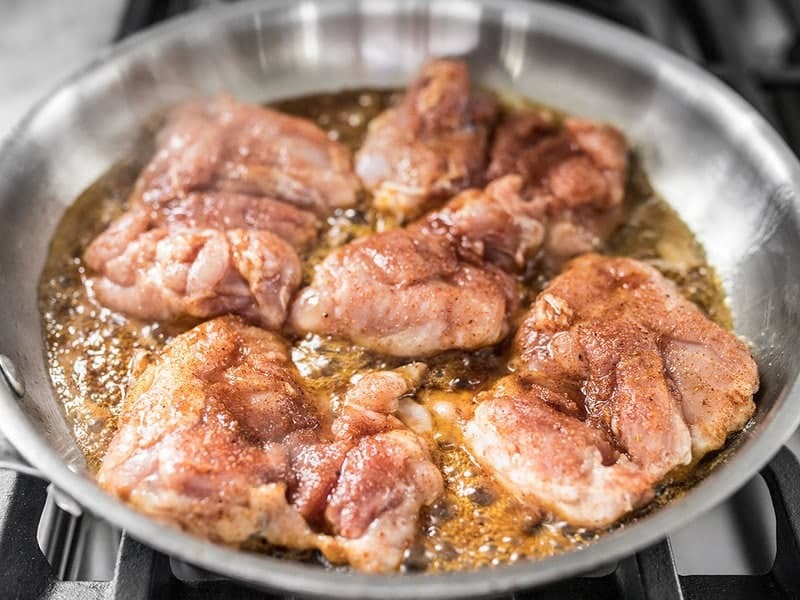 boneless, skinless chicken thighs dry with a paper towel. Sprinkle the brown sugar mixture over the chicken, coating both sides liberally. Heat a large skillet (large enough to fit all the meat in a single layer) over medium. Once hot, add the olive oil and swirl to coat the surface of the skillet. 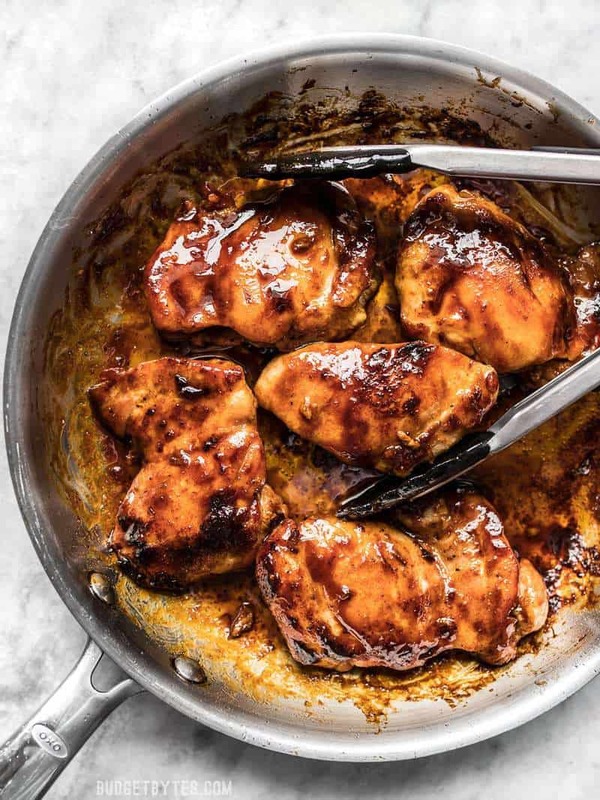 Add the chicken and cook for about 5-7 minutes on each side, or until the chicken is cooked through and the brown sugar has turned into a deep brown glaze. 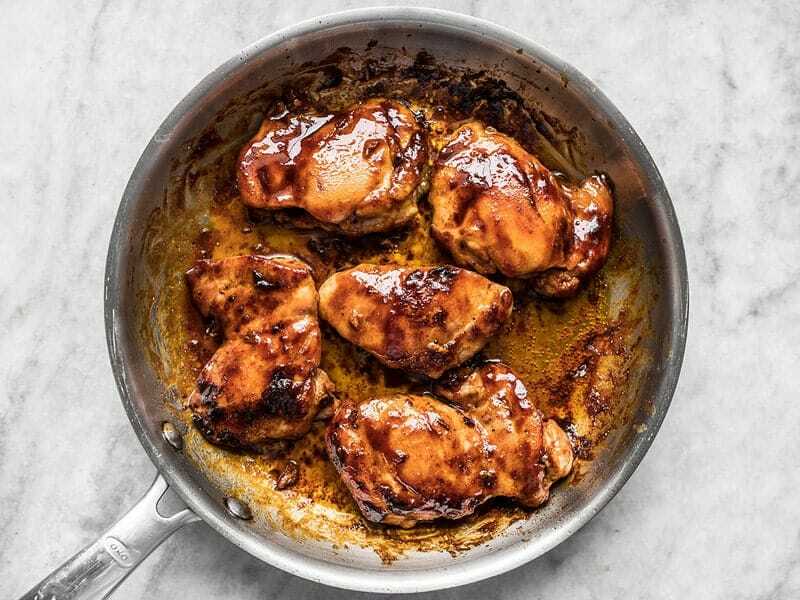 Cooking time can vary with the side of your chicken thighs, type of cookware, or even the nuances of your range. So, watch the chicken closely, spin the skillet if your burner has hot spots, and make sure the heat isn’t too high or the glaze will burn before the chicken cooks through.